for a great practice on the Gold Coast! This brand-new purpose built clinic is seeking a General Practitioner (GP) to be the lead doctor and build up a clientele. The owner of this practice has researched the area and identified a need for a quality medical practice within the community. This will be a bulk billing practice initially, with new equipment and full administrative and nursing support onsite. Located next to the local pharmacy, you’ll have plenty of foot traffic, as well as a very well mapped out marketing plan for new patients. Located only 2 hours from Brisbane, this is perfect for someone wanting to be close to Brisbane but still living regionally. Nestled in the Southern Downs region, close to Toowoomba and two hours to the Gold Coast and Brisbane, this small practice is very community focused. There are two local aged care facilities locally, a full range of both public and private schools as well as the local hospital. 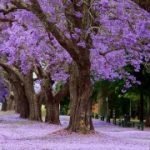 Living in Toowoomba is a wonderful way to experience regional Australia whilst being close to the big city, and it really is a gorgeous place to settle down. a great sports culture, there is a grand variety of outdoor activities to do, and sports clubs to join. Known as the “Garden City” you won’t be sorry you settled here.